Halloween is tomorrow which means my 2 year old is going to be severely hopped up on sugar and I will be getting no sleep tomorrow night. Anyone else with me on that one? 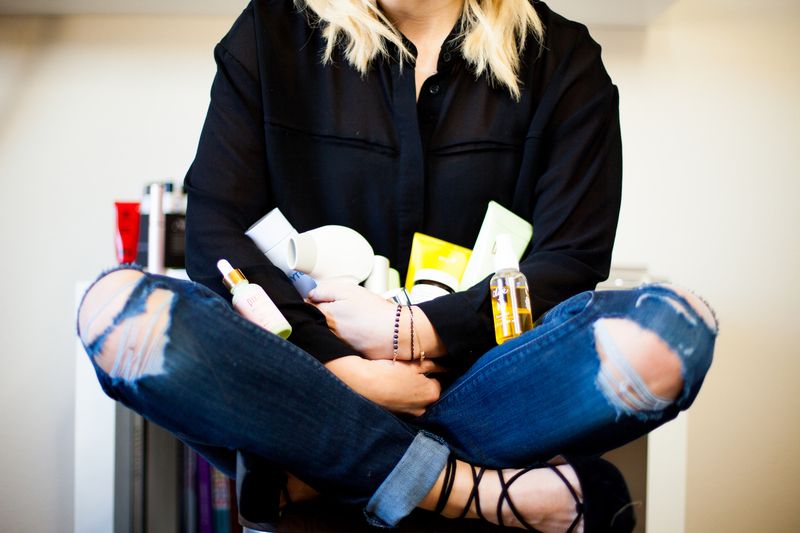 By the way, I realize I am getting my “makeover Monday” done on Tuesday…but it’s the way it goes when you have a newborn. Anyways- my Z girl is going to be the infamous Tinkerbell and my 2 week old daughter is going as herself…a baby. I can’t find an outfit in a newborn size…sad. As for myself, I have no idea what I am going to be; every year it’s a rush to goodwill with my husband to figure it out at the last minute. 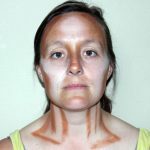 If I knew this DIY Halloween Zipper Facelook wouldn’t scare my daughter half to death, I would do it! 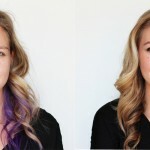 But I think it would, so I got to experiment on my friend Erin who kindly lent me her face! It turned out pretty awesome! I wish I could say that I came up with this idea of the DIY Halloween zipper face, but I did not. I have seen it on lots of blogs and so I thought I would give it a try. My twist on it though is that I wanted Erin to look rather glamorous despite the center of her face looking entirely jacked up. So here is what she looked like and the instructions are below that! 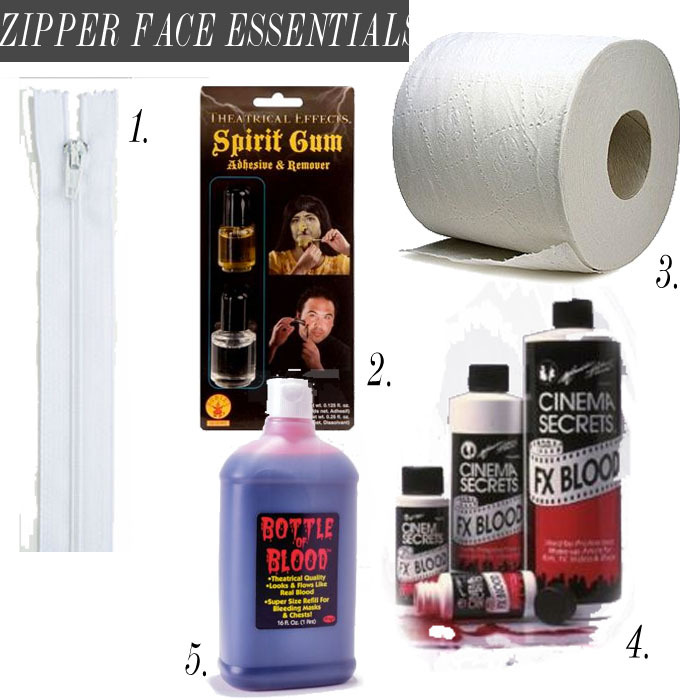 Zipper, Spirit Gum, toilet paper, fake scab blood, and fake blood. 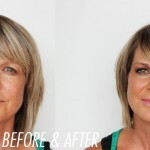 1) On clean skin place the zipper on the area of the face your want it to be. Then while holding the zipper (I used Erin to hold it into place), use a black eyeliner pencil and lift the zipper up to trace the line of where you want the zipper to go on the skin. 2) Then apply the spirit gum with a paint brush to the black line. 3) Next apply the spirit gum to the back of the zipper and place it on the line as well, holding it in place for 90 seconds to ensure that it is secure. If there are sections that are not secure, just add a little more spirit gum underneath. 4) After I applied the zipper, I focused on the pretty part of her face. 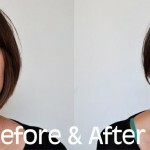 I airbrushed her foundation on to the skin that is outside of the zipper using Temptu and a Temptu airbrush foundation that matched (note-you don’t have to airbrush, I just found it to be easier). Then I airbrushed her blush, bronzer and highlighter next, giving her a glammed up look. Next I gave her eyes a dark, sultry look that I wanted to be more glamorous. But you can do whatever your want! 5) Now for the blood and gore! I used regular tissue paper and soaked it in spirit gum, then placed it on the skin inside of the zipper to make it have more texture. I used a lot of tissue to create texture, so just be creative. 6)Then I generously added in the scab blood which gives it that chunky effect. 7) Next I used some fake blood and made it drip down her neck. Be careful to not get this on your clothes, I am pretty sure it would stain! 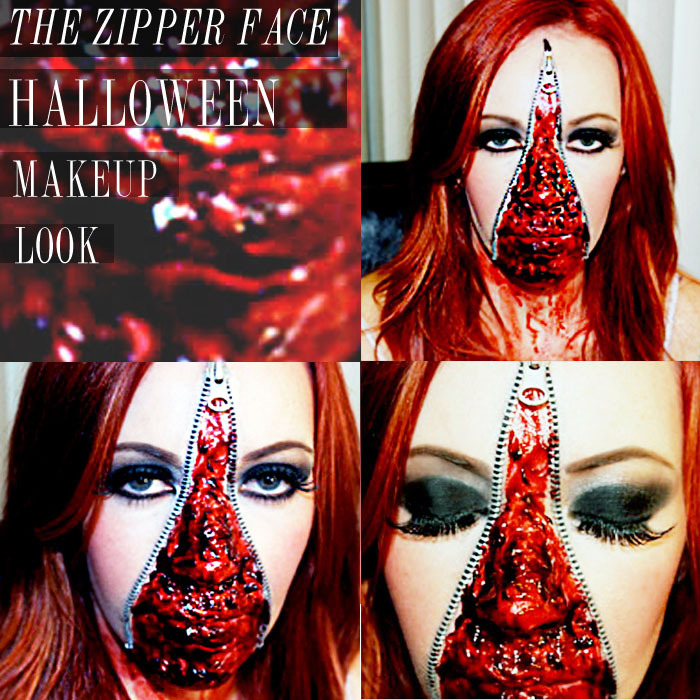 Happy Halloween and I hope you enjoyed this DIY Halloween Zipper Face Makeup Look! What are you going to be for halloween? Do you like this DIY Halloween Makeup Look? Make sure you share it! 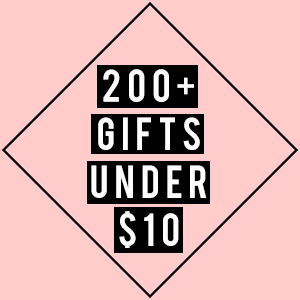 note- There are affiliate links within this post. Using those links help to support this site. 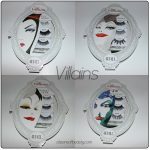 New Ardell Villain Lashes and Looks! 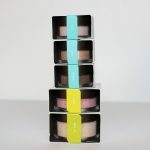 Next articleThe 5 Minute Makeup Routine With Jouer Cosmetics!